Mankind has already advanced to the universe, and science civilization develops more, and prosperous. But, the difference in rich and poor expands more from the present day, and evil is rampant as before. In such circumstance, the high-speed race "F-Zero" is done by using the special machines and the circuit held in the whole universe scale makes enthusiastic the people of the whole universe. "F-Zero" is developed with high spec machine at a speed beyond the sound speed and done at the circuit where being installed in each places is the F1 race of the future world which bets the title of No.1 speeds in the space world. The newcomer racer, Ryu Suzaku and the mysterious racer, Captain Falcon gets high popularity. In Fact, the detective person, Ryu who had an unacceptable serious injury in the accident in the duties in 2051 has been managed by the freezing sleep to cure. Ryu was revived after 150 years by the special platoon's treatment. The special platoon is the secret force of the galaxy police to control the organized crime to crown the prize, rights o a large sum of "F-Zero" Grand Prix. 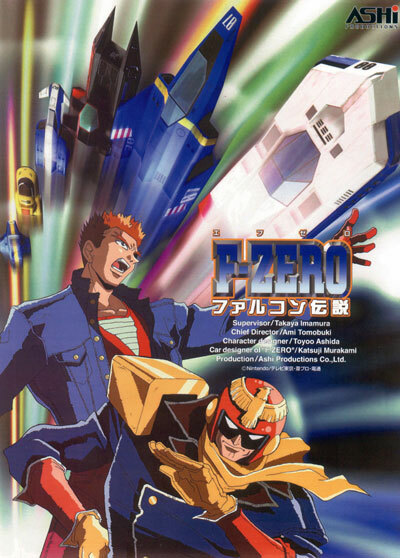 A heinous crime person, Zoda who became the start of the accident 150 years ago is restored in this age, and Ryu knew that Zoda was doing crimes in the stage of "F-Zero" again and decided to join the special platoon. Ryu continues to fight in the severe race and then manage to separate with his past.